The New Year is upon us and it's the perfect opportunity to make that New Year's resolution. It may be that you would like to give up smoking in the New Year, or that your New Year's resolution is to get fit and get back in shape. Some may even want to give up snoring! 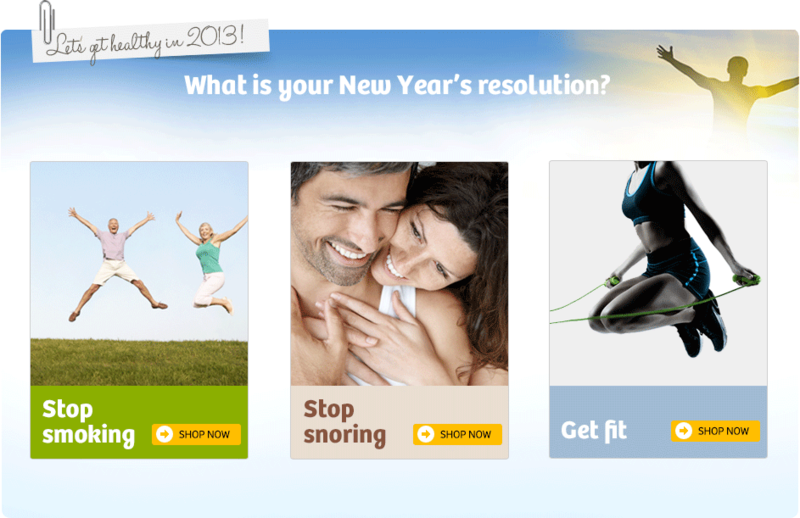 We've put together a selection of products to help you make your New Year's resolution stick. A New Year means a new you. Make the next year your best ever!